Susan needed help last night — in the middle of the night. 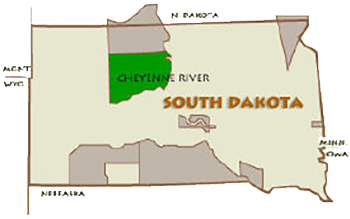 Thanks to YOU, Cheyenne River Indian Outreach (CRIO) was there for Susan and her children! Our 24-hour shelter welcomed her and her children into a safe haven. They had a warm bed to sleep in and a movie in the shelter’s living room to help them calm down after their ordeal. In the morning, they will have toothbrushes and things for the shower, along with clothes and shoes from the Bear Necessities Thrift Store. They left their home last night — fleeing for their very lives — with only the pajamas they were wearing. As part of the mission at Cheyenne River Indian Outreach (CRIO), the Bear Necessities Thrift Store provides clothing and household items for needy families who seek shelter, safety and hope. Did you know your simple gift of towels and washcloths could help light the path to a better future for an abused woman, or a teenager who never thought they had a chance to live a normal life? Not only does Bear Necessities help women and children at the shelter, but it is the only thrift store in a 100-mile area. In addition to having items available at the store, Melissa makes monthly distributions to the far-reaching communities on the Cheyenne River Indian Reservation, which covers more square mileage than the state of Connecticut. Due to various obstacles and hardships, residents of these areas are often unable to make the trip to Eagle Butte to pick up what they need. Bear Necessities receives many requests for household items, including knick-knacks and decorations for a home. Anything that would help furnish a home! View CRIO’s full needs list! Wopila tanka — many thanks — for helping Native American families in need! Learn more about the hard realities of life on the Cheyenne River Indian Reservation. * Names and photos have been changed to protect privacy.